Beat Saber is claiming fame as the ‘Dance Dance Revolution’ of Virtual Reality. 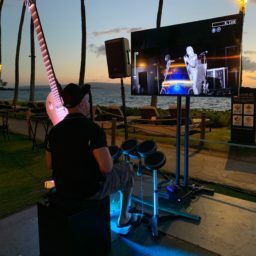 A visually and audibly appealing activity, event guests will quickly learn the strike down incoming targets with a pair of virtual lightsabers. Through the virtual reality headset, they will be immersed in a world of rhythm and light. 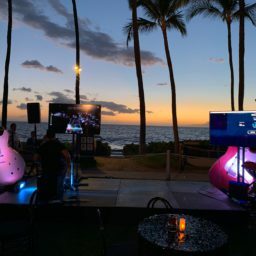 A TV stand can be provided as well, allowing event guests outside of the experience to observe and follow along with the game. 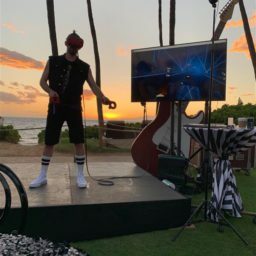 When booking any VR Event experience, the equipment must be professionally staffed by a National Event Pros Partner. 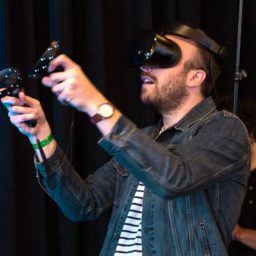 Beat Saber requires a fairly wide area so that participants do not accidentally flail and hit other event attendees. 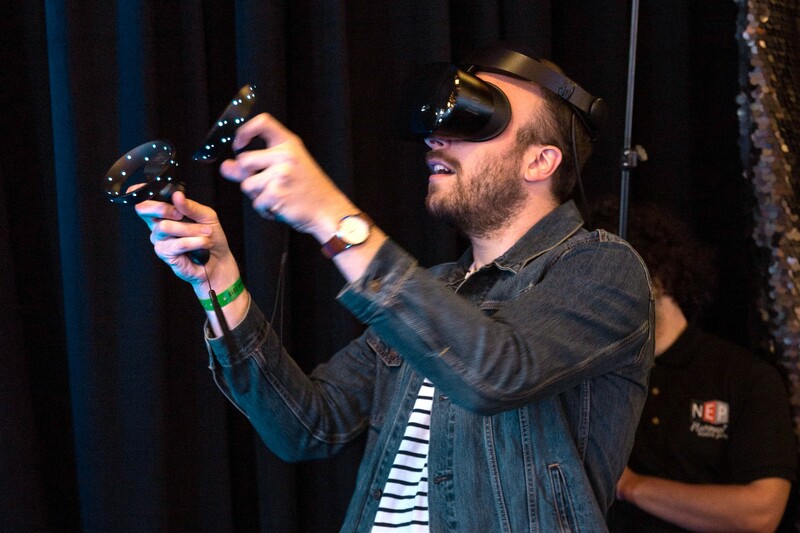 Virtual Reality experiences are still very new and can provide a unique activity that many have not experienced before. 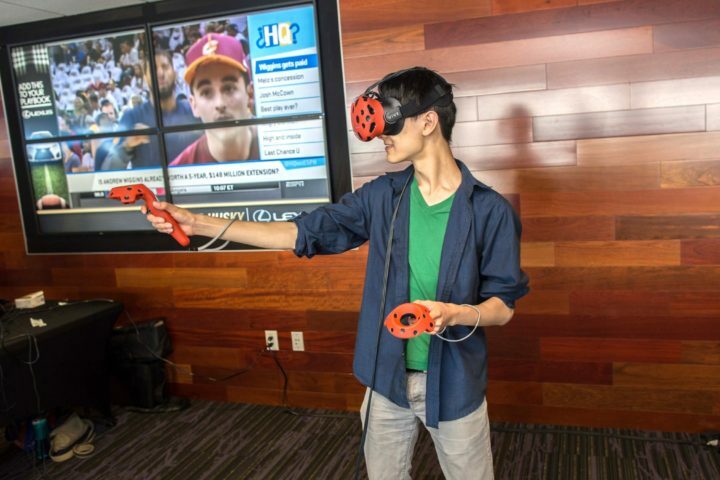 For more multiplayer virtual reality game recommendations perfect for events check out our article here. Take your gaming experience to the next level with the latest in virtual reality (VR) gaming. We bring the likes of Google Tilt Brush, Zombie Apocalypse, and more to life with our HTC Vive "room scale" virtual reality headset. 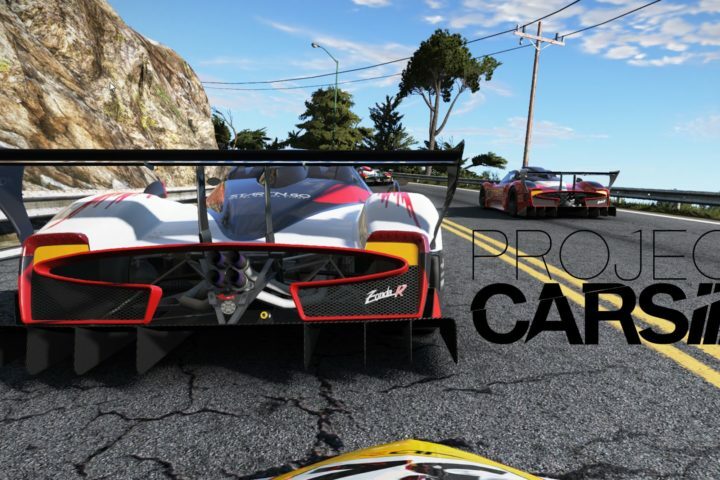 Behind the wheel racing games just got an upgrade in first-person virtual reality! Design your racer, explore the motocross world in career mode or in intense multiplayer race mode.